Whatever you do, don’t get on these people’s bad side. They’re 100% creative geniuses and have a flair for the dramatic, especially when it comes to pranks. But go on! Check out these mischievous acts and hopefully you won’t fall prey to any of these stunts. Ha! This guy’s a total evil genius! 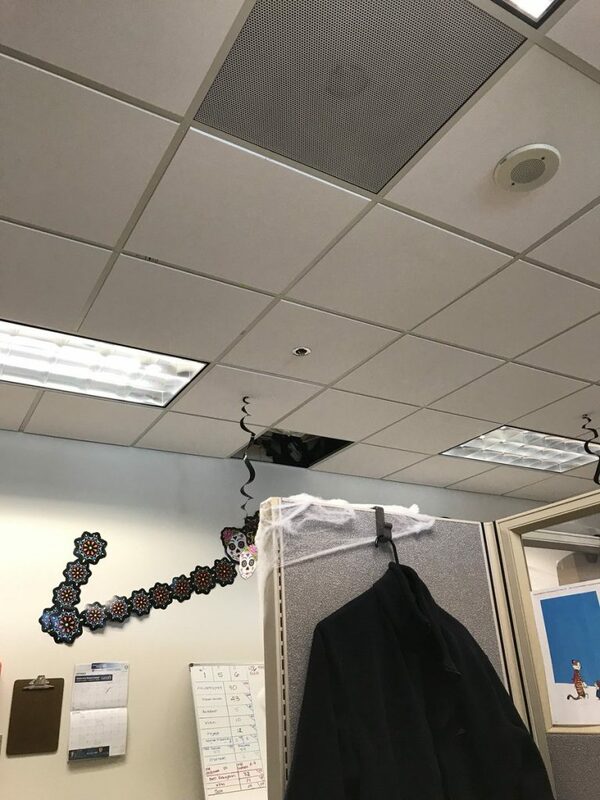 They’ll need a spatula to scrape the employee off the roof. We could just imagine someone sitting here and their soul leaving their body as the horn under their seat goes off. Don’t mess with this Twitter user! 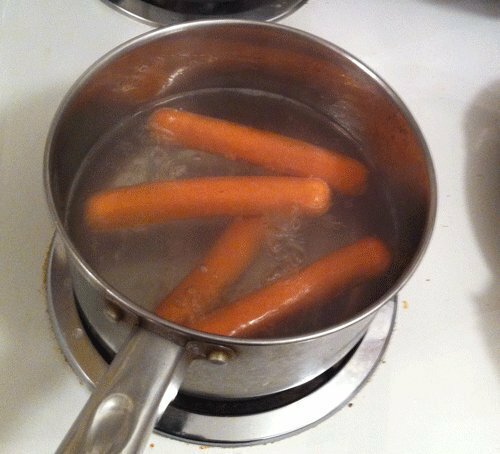 She used hot dog water to make ice cubes for guests she wasn’t too fond of. That’s a great way to sour someone’s drink and leave them wondering what is wrong with their taste buds. This is one slick chick you don’t want to hire to host your next party either. We’ll tell you that much! 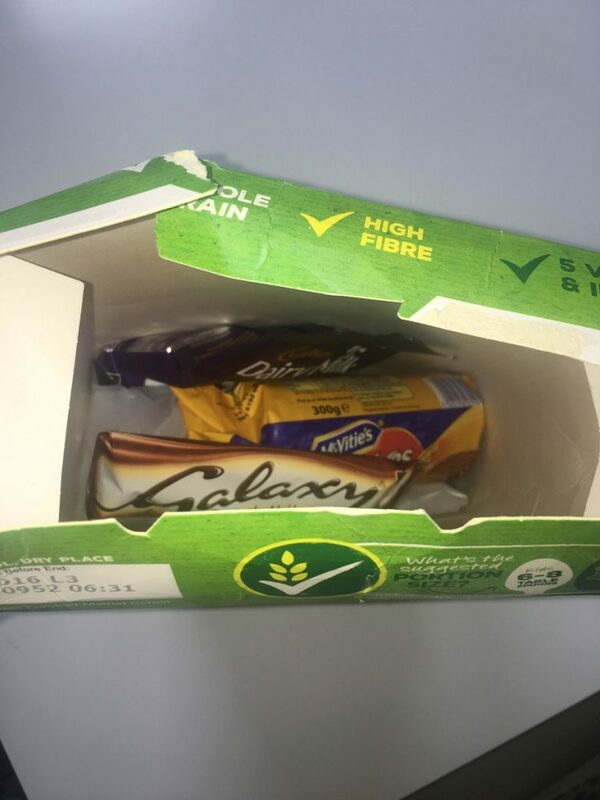 This Imgur user’s kids won’t be sneaking downstairs in the middle of the night to get a peek at the presents Santa’s given them. At least, not without waking up the whole house. 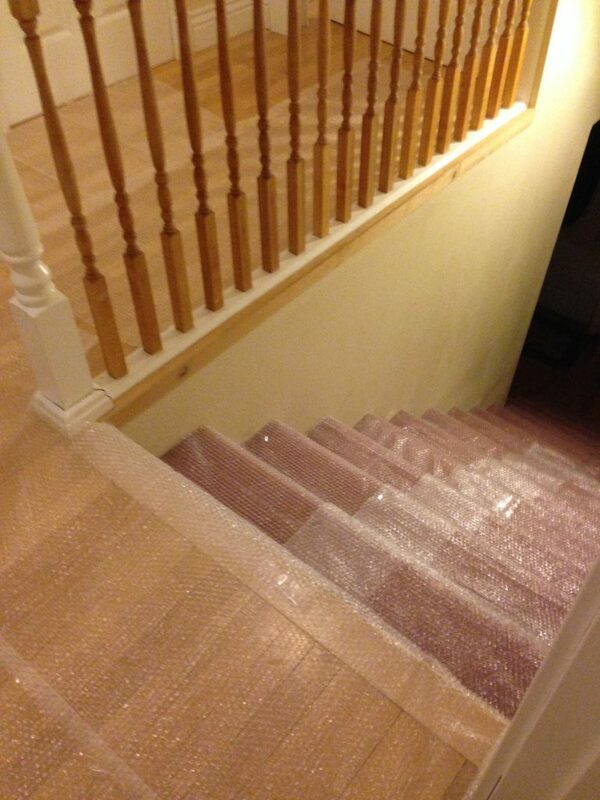 That’s because their clever father put bubble wrap on the stairs. It’s so wicked, it’s brilliant. A blood curdling scream was heard throughout this Twitter user’s dad’s workplace. 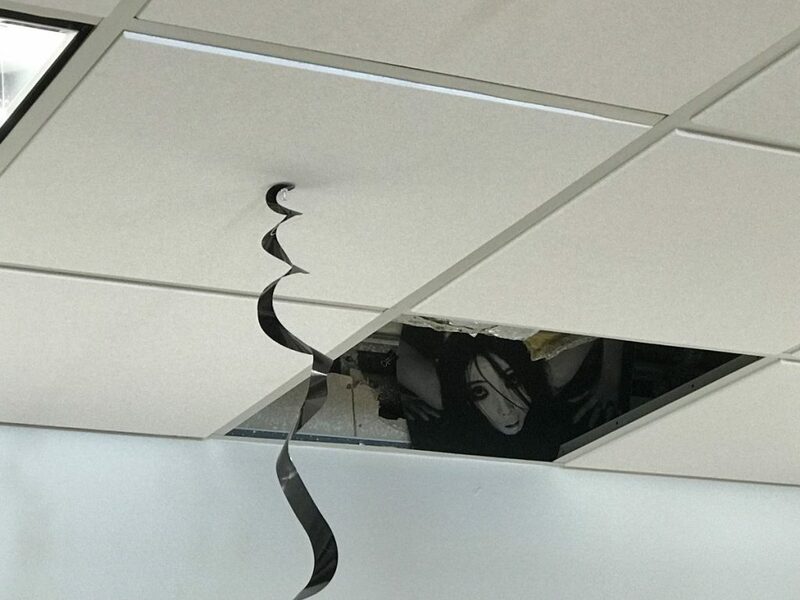 It turns out, he was the culprit responsible for putting the restless spirit from “The Grudge” on top of the ceiling. But he probably peed his pants when his boss warned him to take it down or he’d end up fired. New Year came early for this Reddit user’s daughter. 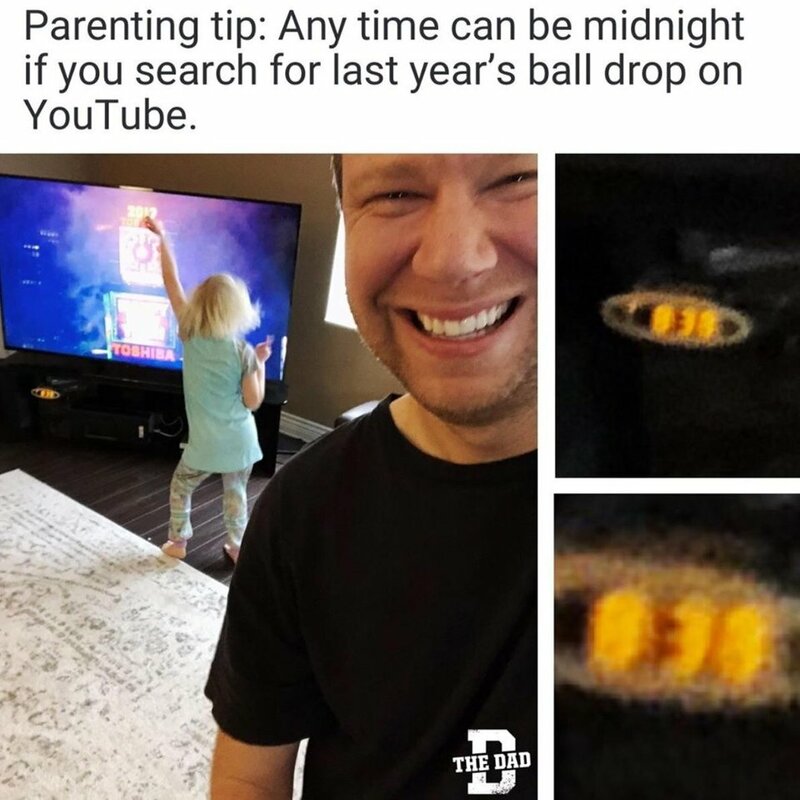 He simply put last year’s ball drop on the TV (Thanks YouTube!) and convinced his daughter it was midnight. But it was really 8:38 at night. Now his daughter was off to bed early and he could party till he dropped. Horrible parent! 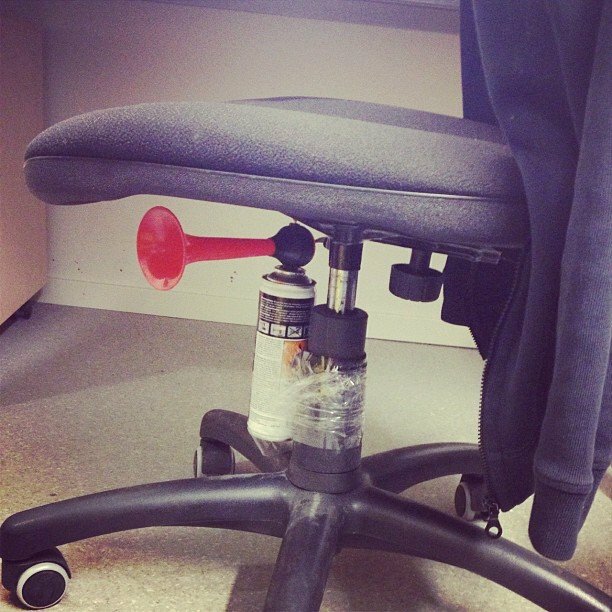 Evil genius! 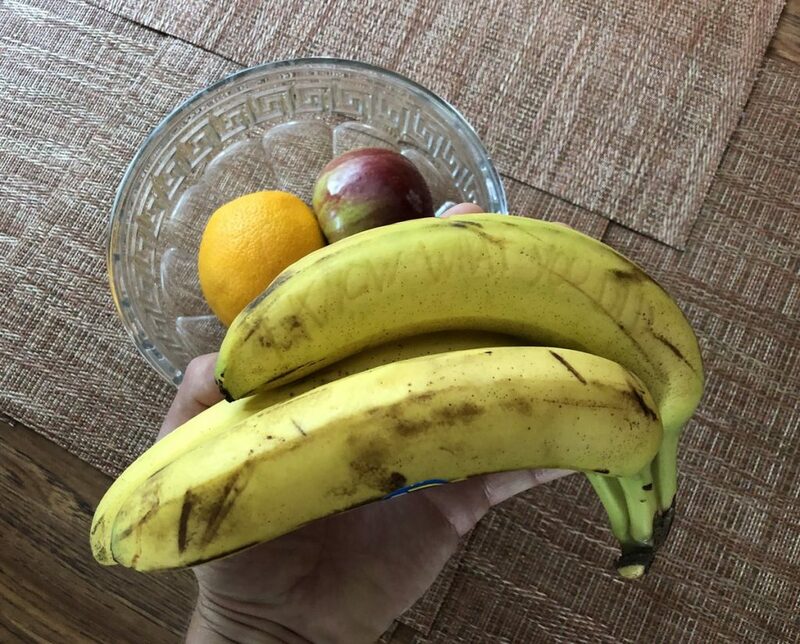 This Twitter user decided that if he wasn’t getting any, then neither would his roommate. 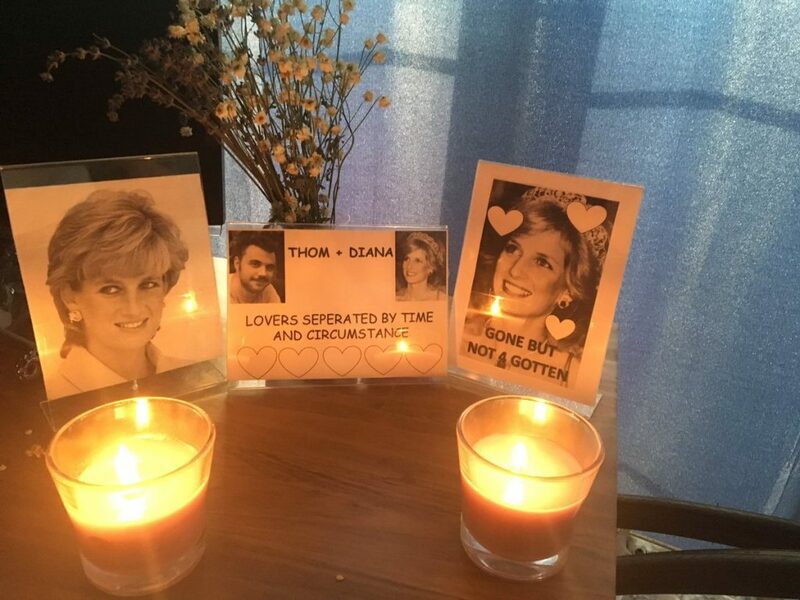 So, he posted a fake shrine full of photos of Lady Di along with two candles to make his roomie’s date think he’s a total nut job. We’re willing to bet his evil plan worked! This Twitter user is peeved at his mom. But can you blame him? That mean old lady hid candies inside a box of whole grain Shreddies, which she knew was his Kryptonite. But he found her secret. Now it’s time to see if he’ll get back at her! This person will think twice before drinking anything from his parents’ fridge. Turns out they put a sign that claimed they put laxatives into 3 liquids in the fridge. 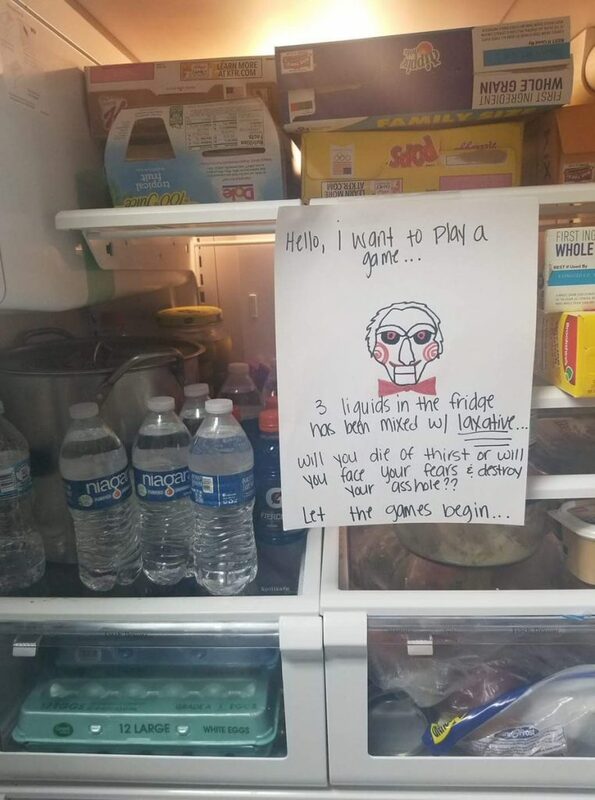 Then the note asked him if he was willing to go thirsty or risk it. Oh, and the Jigsaw character from “Saw” was icing on the cake! Do you think he risked it? This Reddit user might be the worst teacher ever. 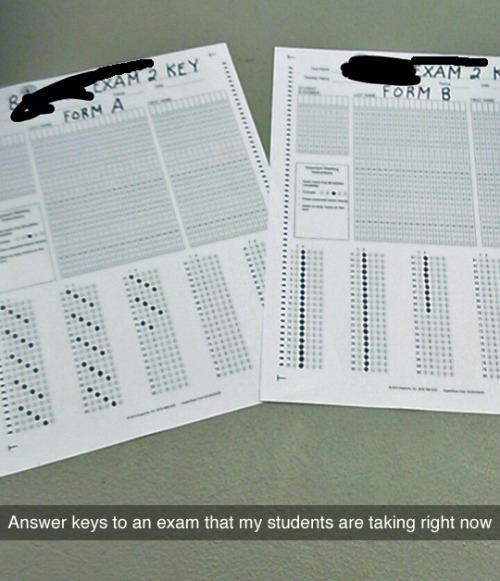 Both answer keys are jacked! Form A has the answers in a pattern that go down from left to right. Form B has the same answer for all the questions. That looks great…if you actually know every single answer without a shadow of a doubt. But it would have been a bit more evil if the professor had broken the pattern and put one answer out of place, don’t you agree?